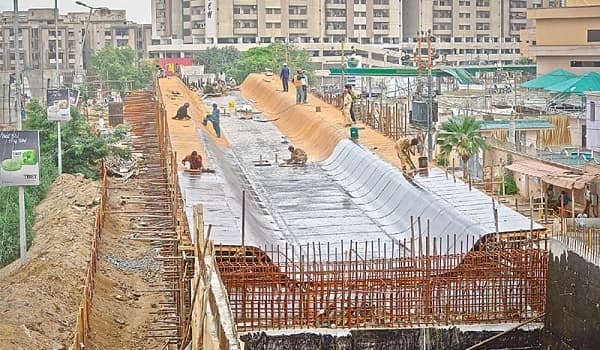 Karachi: The Sindh Government has decided to complete the much-delayed Yellow Line bus rapid transit system (BRTS) project in collaboration with the World Bank, a news source reported. The international lender has offered to provide USD 300 million to USD 500 million for the project. Talking about the project, Chief Minister Murad Ali Shah said that the metropolis is in dire need of a well-developed transport system and that the provincial government needs the World Bank’s backing in this regard. Sources close to the development said that the international lender had originally expressed interest in Brown Line BRTS, but the government moved forward with the Yellow Line project. Earlier in December, the Economic Affairs Division (EAD) had received written approval from the Finance Division to negotiate funds from the Asian Development Bank (ADB) for Karachi Bus Rapid Transport (KBRT) project. KBRT includes the construction of a 25-kilometre BRT corridor and associated facilities, as well as effective project management and sustainable BRT operations through institutional developments.